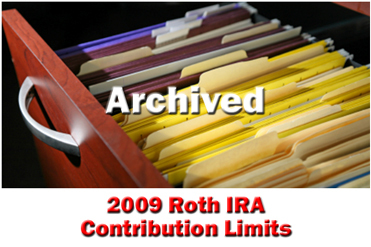 The 2009 Roth IRA contribution limits are no longer in effect, so this page has changed. If you're searching for information on the current Roth IRA contribution limits, please refer to the 2012 Roth IRA contribution limits. For additional information, refer to our list of historical Roth IRA contribution limits.